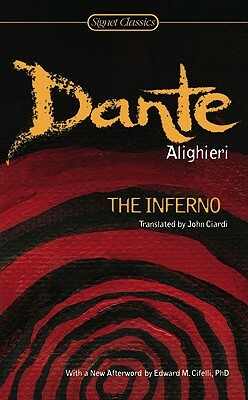 Belonging in the immortal company of the works of Homer, Virgil, Milton, and Shakespeare, Dante Alighieri’s poetic masterpiece is a visionary journey that takes readers through the torment of Hell. The first part of Dante’s Divine Comedy is many things: a moving human drama, a supreme expression of the Middle Ages, a glorification of the ways of God, and a magnificent protest against the ways in which men have thwarted the divine plan. One of the few literary works that has enjoyed a fame both immediate and enduring, The Inferno remains powerful after seven centuries. It confronts the most universal values—good and evil, free will and predestination—while remaining intensely personal and ferociously political, for it was born out of the anguish of a man who saw human life blighted by the injustice and corruption of his times. Dante Alighieri was born in 1265. Considered Italy’s greatest poet, this scion of a Florentine family mastered the art of lyric poetry at an early age. His first major work, La Vita Nuova (1292), was a tribute to Beatrice Portinari, the great love of his life. Dante’s political activism resulted in his being exiled from Florence, and he eventually settled in Ravenna. It is believed that The Divine Comedy—comprising three canticles, The Inferno, The Purgatorio, and The Paradiso—was written between 1308 and 1320. Dante Alighieri died in 1321.